On March 30, 2019, at approximately 8:30pm, Carencro Police Department responded to the French Colony Apartment complex, located at 315 Amesbury Drive, for a shooting in progress. Upon arrival, officers located two victims that had been shot inside of an apartment. Other responding Carencro Police Officers observed a vehicle fleeing from the scene. When officers attempted to stop the vehicle, the driver fled, and a pursuit ensued. The driver of that vehicle lost control and struck a tree on Acorn Dr. The suspect was taken into custody at that time. During the investigation, detectives learned the driver of the vehicle that fled from the scene was identified as 20-year-old Jeremy R. Edwards of Church Point, LA. 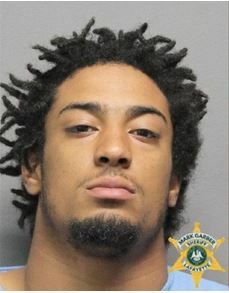 Edwards was visiting with friends at an apartment within the French colony complex, when for unknown reasons, Edwards entered the apartment where several people were and opened fire. After the shooting, Edwards robbed another person at the apartment complex for his vehicle. The two victims have been identified as 20-year-old Adam R. Williamson of Krotz Springs, LA., and 20-year-old Dustin A. Wiltz of Scott, LA. As of March 31, 2019, Edwards remains incarcerated with no bond. The investigation is still on going and more charges may be added to the above charges on Edwards. If anyone has any information or may have been in the area of this incident, please contact the Carencro Police Department at 337-896-6132. Acadian Cultural Center Hosts Birds, Birds, and More Birds!